You'll be £10.00 closer to your next £10.00 credit when you purchase Tank Warfare on the Eastern Front 1941-1942. What's this? The German panzer armies that swept into the Soviet Union in 1941 were an undefeated force that had honed their skill in combined arms warfare to a fine edge. The Germans focused their panzers and tactical air support at points on the battlefield defined as Schwerpunkt - main effort - to smash through any defensive line and then advance to envelope their adversaries. Initially, these methods worked well in the early days of Operation Barbarossa and the tank forces of the Red Army suffered defeat after defeat. Although badly mauled in the opening battles, the Red Army's tank forces did not succumb to the German armoured onslaught and German planning and logistical deficiencies led to over-extension and failure in 1941. In the second year of the invasion, the Germans directed their Schwerpunkt toward the Volga and the Caucasus and again achieved some degree of success, but the Red Army had grown much stronger and by November 1942, the Soviets were able to turn the tables at Stalingrad. Robert Forczyk's incisive study offers fresh insight into how the two most powerful mechanized armies of the Second World War developed their tactics and weaponry during the critical early years of the Russo-German War. He uses German, Russian and English sources to provide the first comprehensive overview and analysis of armored warfare from the German and Soviet perspectives. His analysis of the greatest tank war in history is compelling reading. Spanish review - Can be translated. 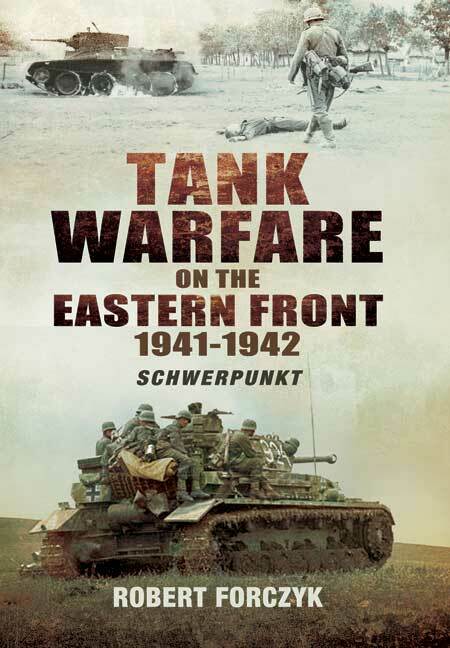 Robert Forczyk, former tank commander and recognised armoured warfare historian, has produced a compelling and demanding analysis of tank warfare on the Eastern Front up until the end of 1942. This is a graphic reassessment of the greatest tank war in history. The research is impressive and the resulting book authoritative. There are maps and tables, together with an excellent photo plate section. Everything to commend this book to any reader with an interest in WWII.... The author has covered the first two stages of the battle for the Eastern Front. By taking the invasion date in 1941 to the great battles of 1942, he has been able to take the initial German superiority in equipment, tactics, support and experience and then examine the Russian fight back. In this he has captured the epic scale of this conflict and fairly reviewed both of the opposing sides. This book will long be the standard against which other books on these subjects are measured. Robert Forczyk is a leading expert on the history of armored warfare, and he has made a particular study of the Second World War on the Eastern Front. His many books include Georgy Zhukov, Demyansk 1942-43, Red Christmas: The Tatsinskaya Airfield Raid 1942, Rescuing Mussolini: Gran Sasso 1943, Sevastopol 1942: Von Manstein's Triumph, Leningrad 1941-44, Model, Erich Von Manstein and Panther Vs T-34: Ukraine 1943.